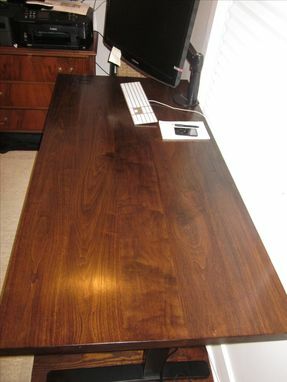 This custom walnut desktop was built to be mounted on top of a motorized desk base. 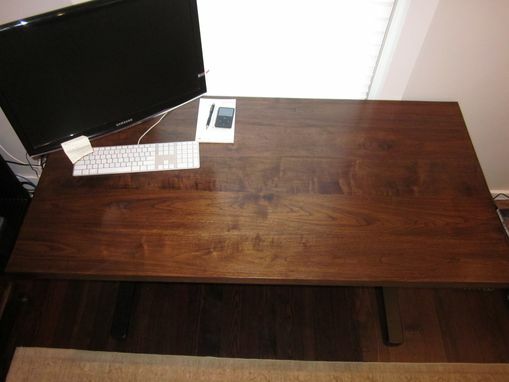 The desk top was 60" L x 30" W x 1-3/4" T and finished with a Dark Walnut stain and Satin gloss finish. 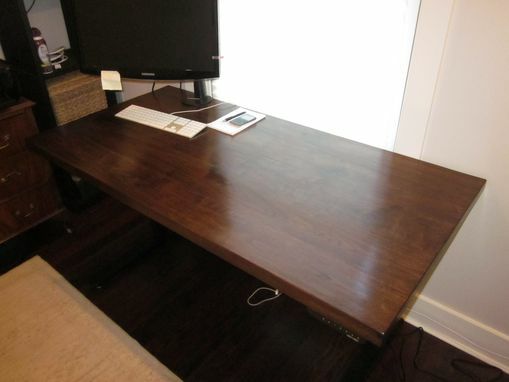 I specialize in custom tables, countertops and reclaimed wood but I can fabricate nearly anything you want. 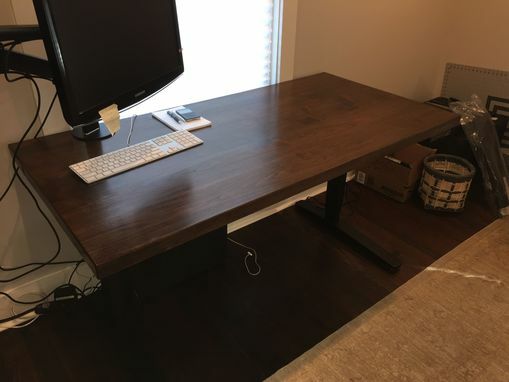 Everything that I make is custom made to order. Contact me today for a free consultation!